Ask About Our Generous Warranties! Where do you turn in the Rockville region for furnace repair, air conditioning installation, and other energy-efficient HVAC services? Jimmy Gusky Heating & Air LLC, of course. One of the area’s most experienced HVAC companies, we tackle it all from boiler repair to ductwork to gas line piping. For home or business HVAC service, we’re your local team! You’re probably familiar with the top national brands in the heating and cooling industry. But whether you need Bryant air conditioning service or Trane heat pump repair, if there’s one name you really want to keep in mind for your HVAC services, it’s Jimmy Gusky Heating & Air LLC. Catering to property owners in Rockville and nearby communities, we’re an HVAC company built on 30 years of quality HVAC repair service and tireless dedication to our trade. For in-depth experience in HVAC repair and HVAC installation, get to know our team. 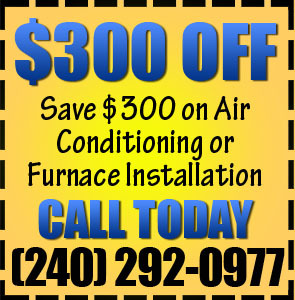 We tackle it all from gas furnace repair to air conditioning installation and air duct services. Phone or e-mail us today to get started! You’ll be happy to hear you can get great HVAC service these days. The pros at Jimmy Gusky Heating & Air LLC make sure of it! Whether you need routine heat pump repairs or emergency gas boiler replacement, all you have to do is pick up the phone and call our HVAC repair specialists. We’re equally well versed in home and commercial HVAC services, so you can trust us for safe, effective solutions to heat pump problems, gas furnace repairs, ductwork leaks, and numerous other issues. If it’s a task that requires the expertise of an HVAC contractor, then it’s a job for our heating and air conditioning service. Simply contact us the first chance you get! Located in Rockville, MD, Jimmy Gusky Heating & Air LLC is proud to support residents and business owners throughout the area with our diverse array of professional HVAC services. The next time you need an HVAC technician to repair, replace, or install central air conditioning or heating systems, head straight for our nearby HVAC company. Our service area stretches through Aspen Hill, Gaithersburg, North Potomac, Olney, Potomac, Wheaton-Glenmont, and points all around. We also provide plumbing services in addition to our HVAC maintenance and installation work, including leak detection assistance and faucet repair. To thank you for choosing us as your heating and air conditioning contractor, Jimmy Gusky Heating & Air LLC backs all of our major HVAC repair work and HVAC installation services with a one-year warranty on labor. You’ll also receive a 90-day warranty on our other plumbing and HVAC services. That’s just our way of making certain you’re satisfied with the outcome of your HVAC services today, tomorrow, and for many months to come. Not all HVAC companies are willing to protect customers with 12 months of coverage on business and home HVAC installation. We are. Your comfort is our top concern! For your added assurance, Jimmy Gusky Heating & Air LLC is an accredited member of the Better Business Bureau (BBB). Established in 1990, our family-owned company is committed to maintaining our A+ rating in HVAC contractor services. We’re also licensed, bonded, and insured for your complete security. From Bryant and Carrier air conditioner repair to Lennox and Trane furnace replacement, the only name to know for your local Rockville-area home or business is Jimmy Gusky Heating & Air LLC. No team works harder for you!